Guillermo Del Toro will be taking a little break from big, blockbuster movies this year and will be heading back to his small, indie roots. But don't worry, there are still going to be creatures around. Well, at least one. The Shape of Water was recently given a very prime, awards season friendly release date this winter. Now Del Toro has also revealed that, much like many of his non-blockbuster movies, his latest offering will be R-rated. 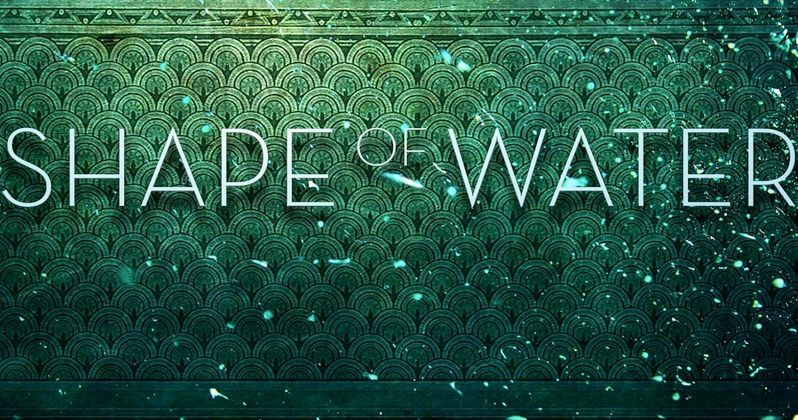 According to Guillermo Del Toro, the MPAA has already rated The Shape of Water and it is going to be an R. The director, who is quite active on social media, revealed the news on Twitter and seemed quite fine with it. The studio also doesn't seem to have any issues with the fact that the movie has been given an R-rating, since it doesn't seem like he will be changing it to possibly get it down to a PG-13. Here is what he had to say about it. "The Shape of Water got an "R" rating from MPAA last week. So "R" it is!" What is most interesting about this is that, since the MPAA has already rated The Shape of Water, that means the movie is done and ready to go. So why isn't the studio releasing it sooner? Well, if they feel the movie is good, then they may want to see if they have a shot at some Academy Awards recognition next year. Movies that get released too early in the year are often forgotten by the time the real Oscar campaigns get going. So this could very well be strategic. That could also give the studio and Guillermo Del Toro time to bring the movie to some festivals and get some buzz going before they give it a wide release. The Shape of Water hasn't had a trailer released yet, but the movie has been given a synopsis. The movie is said to be an otherworldly fairy tale that will take place during Cold War era of America in 1963. Elsa, played by Sally Hawkins, has her life changed when she and her co-worker discover a secret government experiment in the hidden, high-security government laboratory where they work. It was revealed by actor Doug Jones that he is playing a "fish man," so it is safe to assume that this experiment will be the fish man. It just wouldn't be a Guillermo Del Toro movie without Doug Jones covered in a whole bunch of prosthetic makeup. Related: Will The Shape of Water Sweep the 2018 Oscars? In addition to Doug Jones and Sally Hawkins, The Shape of Water also stars Oscar nominees Michael Shannon, and Octavia Spencer, which also bodes well for the movie's awards season hopes. The movie is written and directed by Guillermo Del Toro with a release date set for December 8, 2017. With the movie already completed, don't be surprised if we get the first teaser trailer for The Shape of Water sometime soon, even though the release is still seven months out.